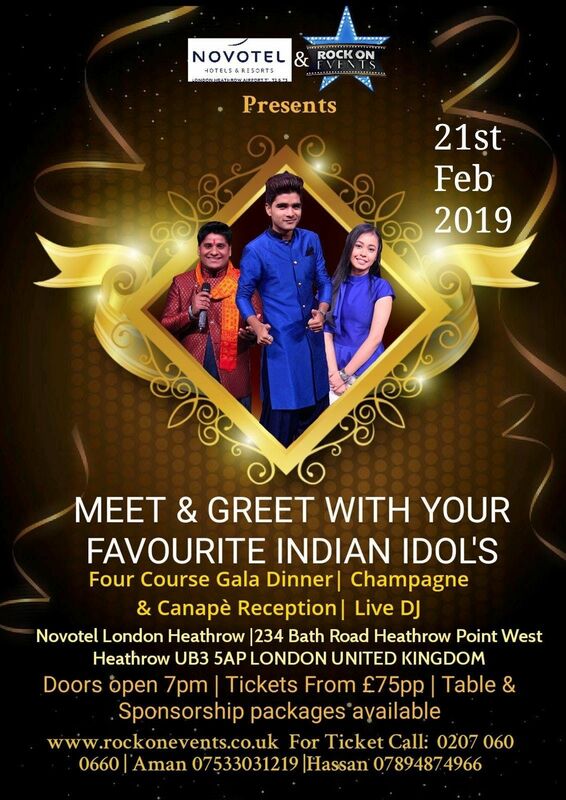 Rock On Events & Novotel London Heathrow are proud to bring you an exclusive evening with Indian idol sensations Salman Ali, Neelanjana Ray & Nitin Kumar on 21st Feb at Novotel London heathrow, before their sold out UK tour begins. Indulge in a 4 course gala dinner with welcome drinks alongside Dj Harps playing the latest songs. Then get ready to pose as you meet & greet with your favourite Idol's.